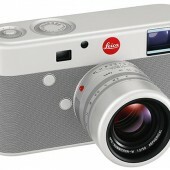 The Leica M custom made camera by Jony Ive and Marc Newson for (RED) sold for $1,805,000 at Sotheby’s charity auction in New York (hammer price with buyer’s premium). 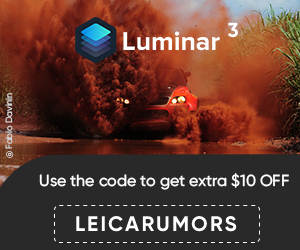 The camera was initially expected to reach $500,000 to $750,000. 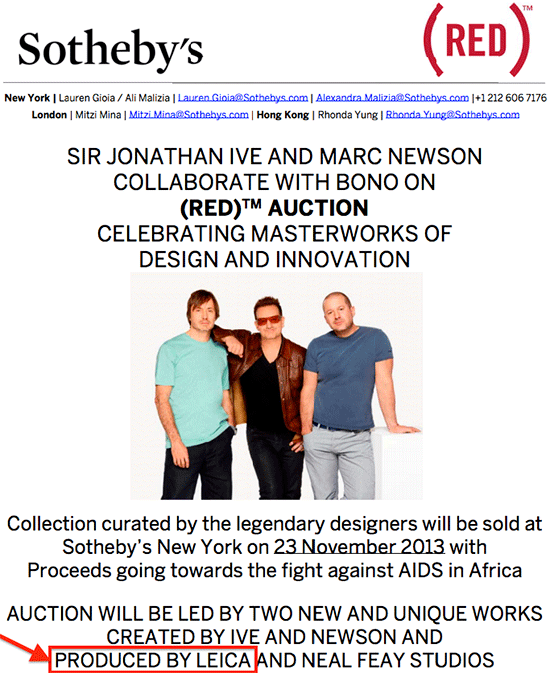 The (RED) auction at Sotheby’s raised a total of $26.2 million to fight AIDS in Africa. 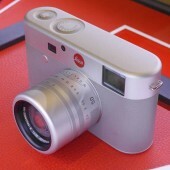 The one of a kind Leica M for (RED) camera is currently on display at the Leica Store in New York Soho. 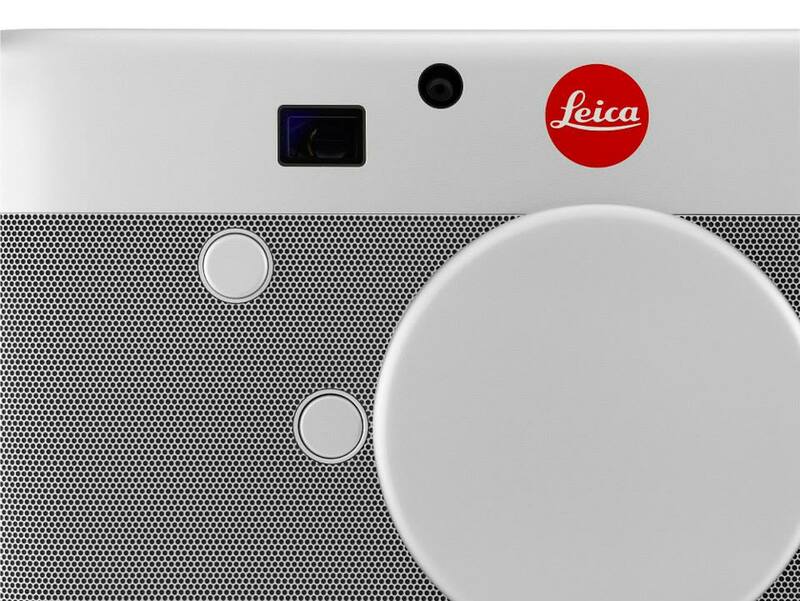 The camera designed by Jony Ive and Marc Newson will be auctioned for charity on November 23, 2013 at Sotheby’s.